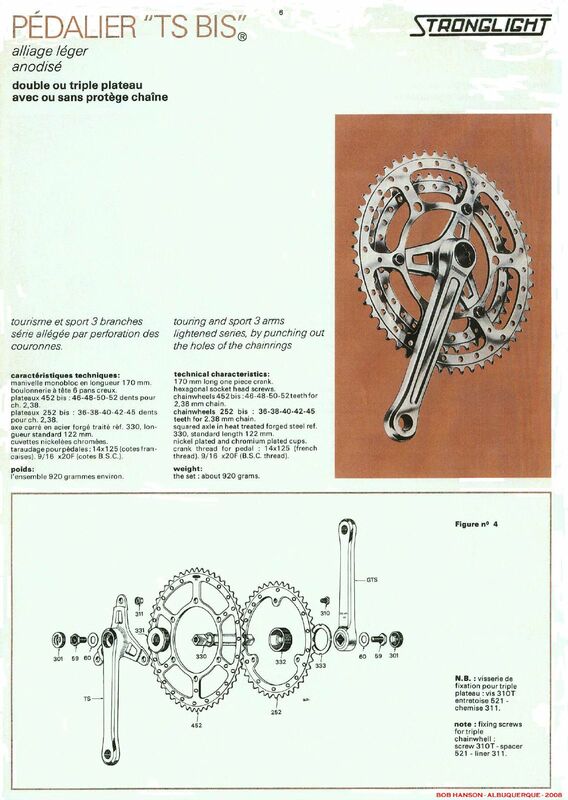 Another find from eBay (this time from a bloke called Jerome in Paris) is a Stronglight TS bis chain set. I’ve always liked the drilled chainsets from Stronglight and was on my wishlist from the start. I need to change the bottom bracket from the existing one which is on that’s designed for a cottered crank. However old French bikes have a uniquely French thread which means I either fit an old original part or buy a new style sealed replacement. Older Stronglight chainsets have an ISO square taper fitting, however modern square taper bottom brackets have a JIS taper which is slightly shorter. This means instead of using a 122mm bottom bracket I should be able to get away with a 118mm. Stronglight bottom brackets have a unique thread which means buying a specialist tool.